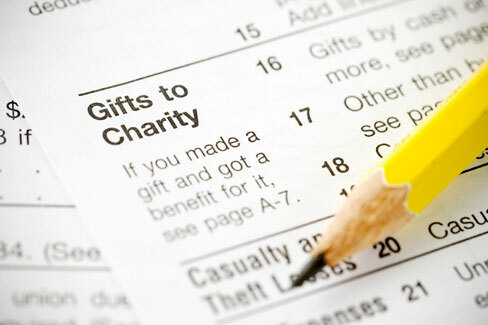 Please include your name, address, and email address or telephone number with your check, so that we may send you a written receipt for your tax-deductible contribution. 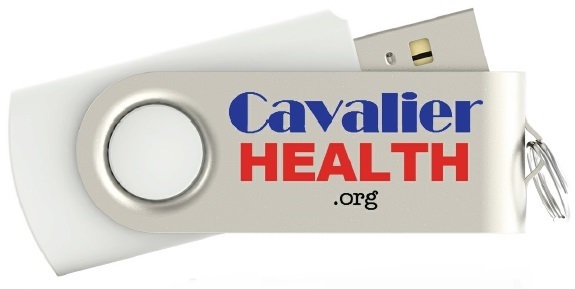 For your contribution to the Cavalier Health Fund of at least $100.00, we will send your choice of a Cavalier Snood (pictured at the left) or an 8 gigabyte USB flash drive with our CavalierHealth.org logo (pictured below at the right). The snood is handmade by long-time CKCS breeder Pat Winters of Suffolk, Virginia. The snood comes in various cotton fabric patterns and in a choice of either small or large size. 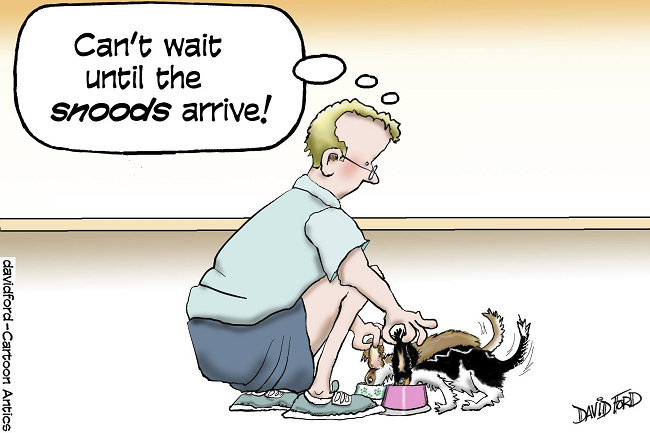 The snood fits over the dog's head and ears to keep them clean while the dog eats its meals. The large size is suitable for most male and large femaie cavaliers. The small size snood is suitable for puppies and most smaller females. The flash drive is a handy, compact USB device with a very large capacity for storing digital files. 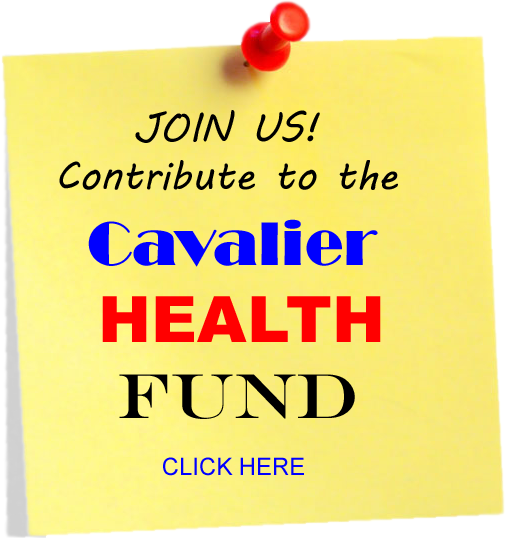 For contributions of $250.00 or more, we will send you "The Cavalier King Charles Spaniel: The Origin and Founding of the Breed" by Tina and Dennis Homes. 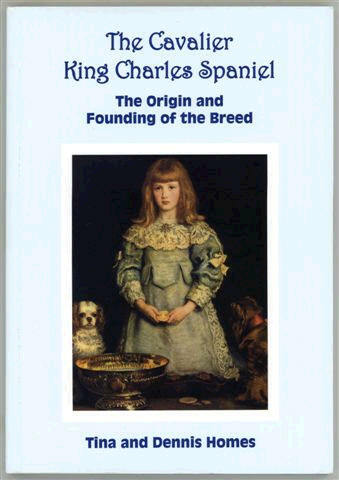 Published in 2009, this is a fasciinating and well-documented review of the breed, from its creation in the 1920s through the 21st Century, along with the history of the breed's ancestors beginning in the 1600s under King Charles II of England. 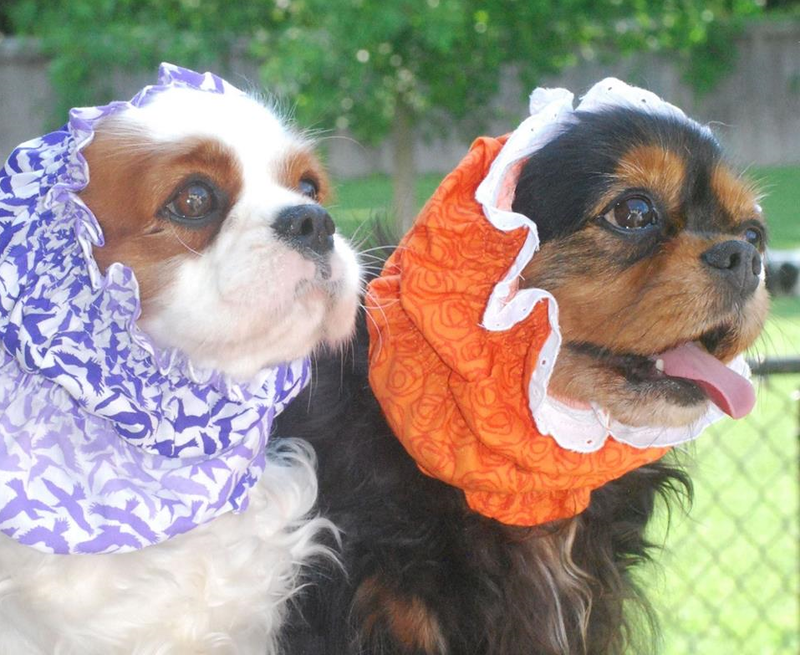 Tina and Dennis Homes are long-time breeders of cavaliers under the Leogem affix in England. There has never been any other cavalier book as thorough and comprehensive as this one. It is loaded with historical photographs of champion dogs, breeders, and documents. This book is available in the United States only through our website.